This post was submitted to me within the ethos of Blognonymous. 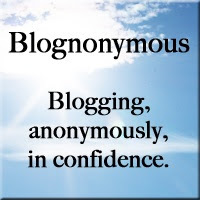 This author isn't a member of the blogging community but has heard about Blognonymous through word of mouth. As ever, submissions remain unedited - it was the author's choice to write this in the form of a poem.